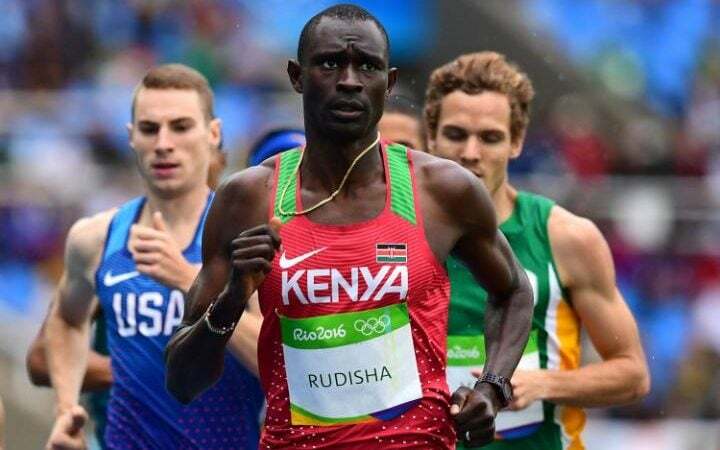 Rudisha finished in one minute 42.15 seconds, ahead of Algeria's Taoufik Makhloufi and fast-finishing American Clayton Murphy. "I am so excited," said Rudisha. "It is the greatest moment of my career." Kipketer set out fast, going through the first 200m in just 23 seconds. But the 19-year-old, who had beaten Rudisha in the Kenyan national trials, faded to finish seventh in Rio.